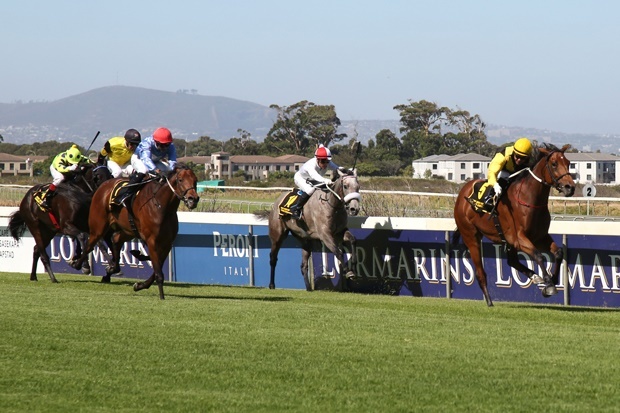 WIN: L'Ormarins Queen’s Plate tickets! Sport24 are giving away two sets of double L'Ormarins Queen’s Plate VIP Stud Club tickets to the 2017 event at Kenilworth racecourse! The Cape’s premier horse-racing and social calendar event, The L’Ormarins Queen’s Plate, has announced that an additional day will be added to the line-up of festivities for the 2017 event, to take place on Friday & Saturday, January 6 & 7, at Kenilworth Racecourse. Guaranteeing a magnificent start to the year’s social calendar, the exciting two-day affair will make this South Africa’s first and biggest horse racing festival with an unparalleled race card of 18 races. The first eight races will take place on Friday and includes the prestigious Sceptre Stakes, the premier sprint race for fillies in the Western Cape. Beyond the track, Friday will also be a Ladies Day with the hosting of a Luncheon and Garden Party with gates closing swiftly at the end of the day’s racing in order to prepare for the headline race the following day. As is tradition, the running of the Grade 1 L'Ormarins Queen's Plate will take place on Saturday with racing enthusiasts and socialites from all corners of the globe expected to watch South Africa’s finest thoroughbreds compete for the R1 million purse. “2017 marks an exciting new chapter in the 156-year history of L’Ormarins Queen’s Plate and we are thrilled to announce that it is becoming a two day festival which will be a much needed and successful development to the brand. Two days will also allow for local and international guests who travel to the event to enjoy two days of racing,” says LQP festival co-ordinator, Katherine Gray. Both days will offer an impressive array of world-class music and entertainment across a number of hospitality marquees, including the popular Stud Club and Style Lounge. True to the original blue- and-white LQP aesthetic, classically dressed guests will reflect the event’s age-old elegance and style as they mingle beyond the track. The best-dressed lady & partner will stand a chance to win an all expenses paid trip of a lifetime, to attend the UK’s biggest race day, Glorious Goodwood. The best-dressed lady embodies the blue and white tradition of LQP as demonstrated earlier this year by 2016 winner Naledi Mabuso. Underscoring the race’s global status, the LQP winner is automatically granted entrance to the Mile Division of the Breeder’s Cup, the biggest annual race day in the world, held in the United States. In addition, The Peninsula Stakes, sponsored by England’s Goodwood Racecourse, will run at LQP for the fourth consecutive year. Listed by the Telegraph in the United Kingdom in 2014 as one of the top five race days in the world, LQP is ranked alongside other illustrious races, including the likes of Prix de l’Arc de Triomphe (Paris), Breeder’s Cup (California), Melbourne Cup and Dubai World Cup.